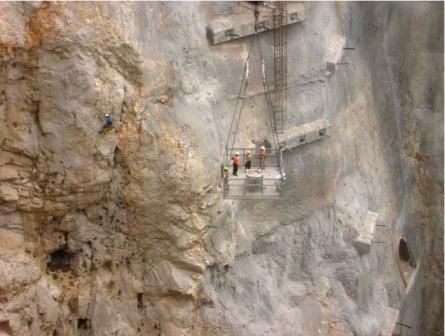 There were many cracks, joints, fractures and karstic spaces on the measurement surface of limestone that was to be used for dam construction. 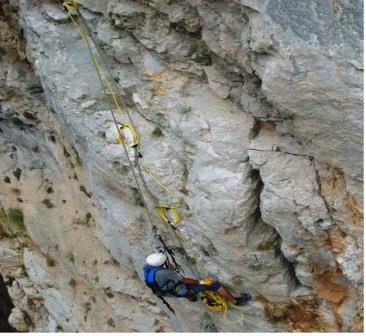 The main subject of this study, by our client belirti, was to search for karstic features and voids within the body of local limestone for dam construction. 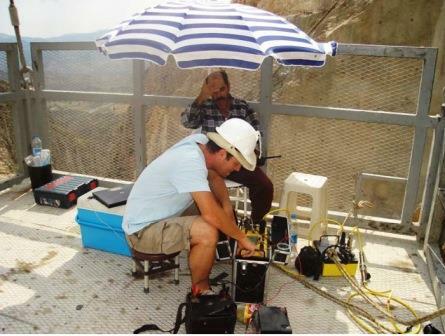 The determination of resistivity was performed by geoelectric exploration methods with a total of 28 electrodes at 6m electrode spacing. 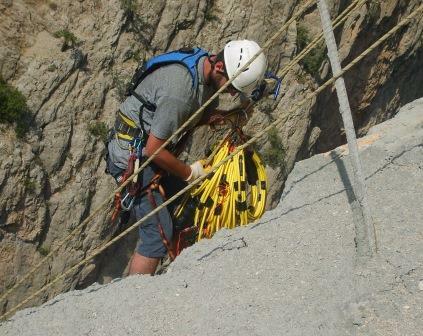 These 28 electrodes were mounted on the drilled holes in the cliff by using a bentonite solution. Automatic measurements were taken with Dipole-Dipole, Wenner and Shlumberger arrays, and the measured data sets were combined for joint inversion with EarthImager™ 2D. The contact resistance on the study area was varying between 20kOhm to 240kOhm during the measurements. Such high contact resistances resulted in low current injection between 1mA to 44mA. In spite of the low-current injection—with the high-resolution SuperSting™ R8—the measured voltage signal strength was good between 0,11mV to 3210m. The joint inversion result showed about 8%RMS error and L2=0.95. 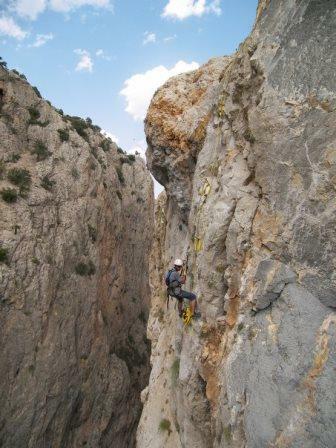 The high-resistive areas demonstrated possible void areas and low-resistive areas showed fractured areas on the vertical profile in the limestone outcrop. Ease of use: It’s convenient to use AGI tools on extreme topography. Joint Inversion: It’s convenient to improve inversion results for noisy data sets on such high contact resistance areas.